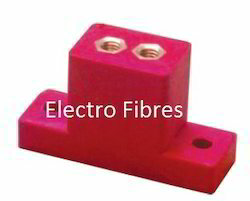 Pioneers in the industry, we offer smc insulators from India. We have gained expertise in manufacturing, supplying, trading and exporting SMC Insulators. These products are manufactured keeping in mind the diverse requirements of customers. The experienced engineers employed by us make use of high-grade material in the manufacturing process so that our range in in adherence with international quality standards. Besides, we ensure that offered products are delivered at customers' doorstep within the stipulated time period using easy modes of transportation. Looking for SMC Insulators ?